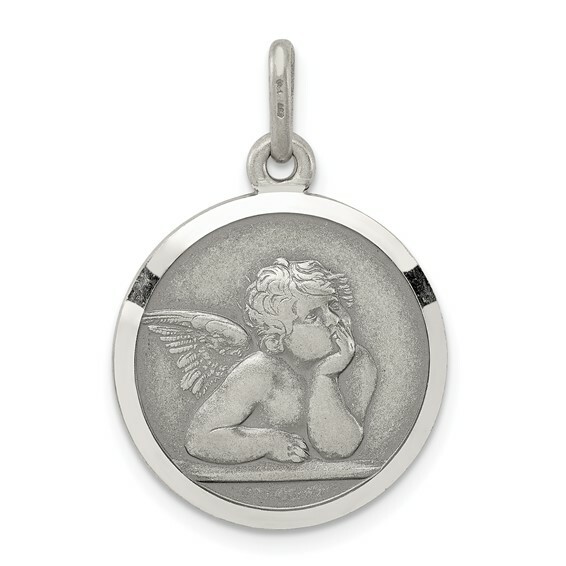 This round Raphael angel medal is made of antiqued sterling silver. This round medal is 11/16in x 11/16in without bail. Made in Italy. Weight: 3 grams. Very beautiful and excellent quality. Detail of guardian angel very clear. Very happy that I bought another a bit smaller and every bit the same. Shipping was fast and packaged well. Glad I found your company and communication was professional.